India-based Capital Small Finance Bank has rebranded from Capital Local Area Bank as part of its digital transformation programme. For its technology, it has decided to stick to its existing provider, Intellect Design Arena and its core banking platform, Intellect Suite. Capital Small Finance Bank, after conversion from Capital Local Area Bank (which was founded in 2000), started operations earlier this year with the opening of ten new branches. It is also one of the ten organisations that were given in-principle approval by the Reserve Bank of India to set up as small finance banks. The “first” small finance bank in India chose Intellect’s solutions back in 2010. These include core banking, trade finance, debt management, online banking, payments, treasury, alerts, smart branch, liquidity management, and anti-money laundering (AML) solutions. 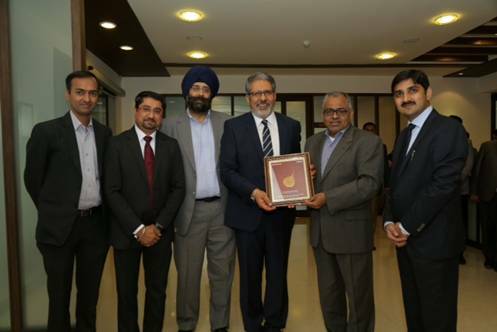 Sarvjit Singh Samra, MD at Capital Small Finance Bank, says it selected Intellect as its “technology partner” due to its “domain strength and the rich functionality of its products”. The project is part of its ambitions to provide banking to “more customers in rural and semi-urban areas” in the country. Intellect adds that the bank’s “primary objective [is] to provide easy access to need-based credit and reduce the local community’s dependence on moneylenders”. The bank is based in Jalandhar, a city in the Doaba region of the north-western state of Punjab. For Intellect there have been some notable developments this year. Its lack of profit lingers as it reported a loss after tax of INR 55.2 million ($826,690) for the quarter ended 30 June 2016. Maybank Indonesia went live with Intellect’s integrated treasury management system, One Treasury, for its Indian operations. Intellect says the solution has enabled the overseas branch to “eliminate dependence on intensive manual operations”. The firm says the deployment, user acceptance testing (UAT) and data migration were completed in seven months. However, Federal Bank in India is looking to replace its legacy treasury system, supplied by Intellect. It issued a request for proposal (RFP) for procurement and migration of treasury management.